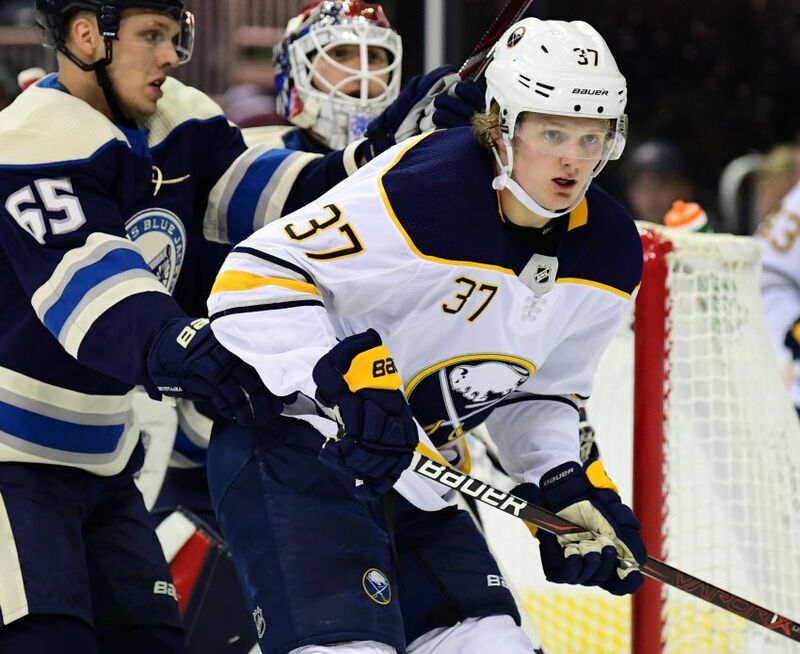 Following a standout junior and college career, Mittelstadt hasn’t exactly roared into the big leagues. After recording an assist Friday, the former eighth overall pick has compiled seven goals and 16 points in 51 outings this season. After sitting out two games as a healthy scratch, rookie defenseman Lawrence Pilut returned Friday. Housley changed his blue line in the previous two contests, inserting Matt Hunwick and Nathan Beaulieu while Pilut, 23, watched. While Housley said he liked what the veterans showcased, Pilut, an offensive-minded youngster fans have been clamoring to see, played his first game since Jan. 18. Pilut, an AHL All-Star, stayed with the Sabres during their bye week and the NHL All-Star break. Housley paired the Swede beside Marco Scandella. Pilut also played on the power play. Pilut has compiled one goal and five points in his first 17 NHL outings. The Sabres also inserted winger Jason Pominville, a healthy scratch for Wednesday’s 1-0 loss in Dallas, on Friday. Winger Remi Elie stayed in the lineup because center Johan Larsson (undisclosed) couldn’t play. Notes: Sabres winger Sam Reinhart played his 300th NHL game. … Sabres rookie Rasmus Dahlin has recorded six multi-point games this season, more than all but two 18-year-old defensemen in NHL history: Housley and Bobby Orr. He may be confident but by no means does he belong in the NHL.